Metabolomics, or the study of biochemical processes involving metabolites, is a relatively new, yet increasingly growing field of research. 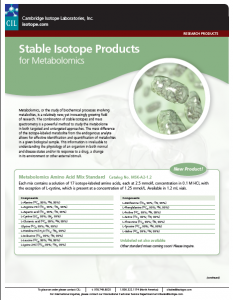 The use of stable isotopes as internal standards, combined with mass spectrometry in metabolomics, allows researchers to identify and quantify metabolites in a given biological sample. This information is invaluable to understanding the physiology of an organism and/or its response to a drug, a change in its environment, or other external stimuli. Quality control (QC) of methods and processes is an essential factor toward the generation of reliable mass spectrometry (MS) data. In order to obtain accurate and precise metabolomic data that can be reproduced by independent laboratories around the world using different MS technologies, standardised protocols and reagents are necessary. Why are stable isotopes useful in metabolomics? 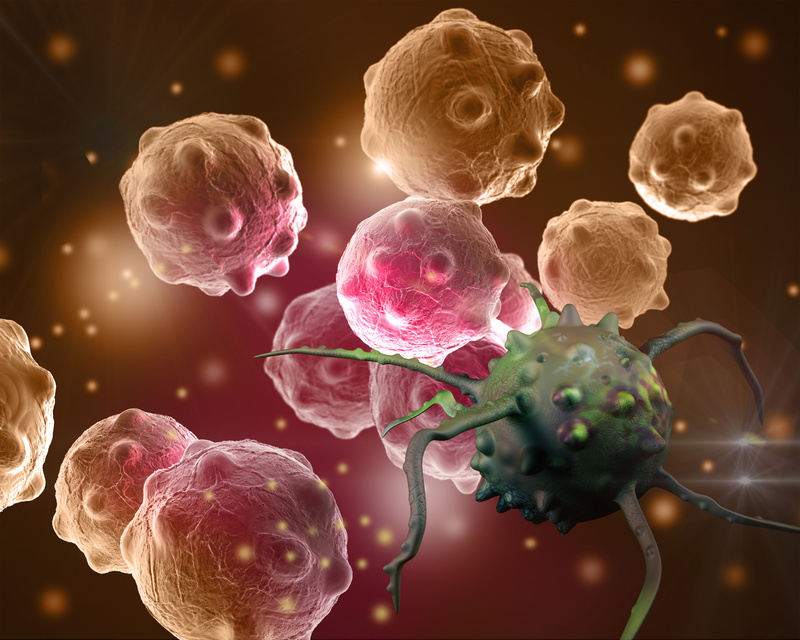 When used in conjunction with mass spectrometry, stable isotopes allow for quantitation and identification of metabolites in order to give an overview of the cellular fate of metabolites. Stable isotopes can be used for metabolite profiling and to look at metabolic flux. Which products are typically used for metabolomics? Researchers can use a variety of labeled metabolites including amino acids, carbohydrates, fatty acids & lipids, etc. Those performing flux analysis, looking at cancer metabolism for example, often use D-Glucose (U-13C6, 99%) (CLM-1396) and L-Glutamine (13C5, 99%) (CLM-1822-H). One of the bottlenecks with metabolomics is metabolite identification. Are there databases available to the public that allow for metabolite ID? Yes, there are a few different options. METLIN is a current and comprehensive repository for such metabolites. 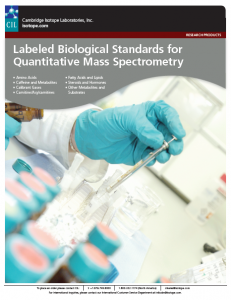 It includes structures and tandem mass spectrometry data, as well as other pertinent information for metabolite ID. (http://metlin.scripps.edu/index.php). The metabolomic processing software associated with METLIN is called XCMS and is available online (http://metlin.scripps.edu/xcms/). It is designed to read and process LC/MS data to assist with metabolite profiling by identifying changes in endogenous metabolites. A collection of helpful specific articles written by our customers which may be of use to you….and are just generally interesting reads anyway.